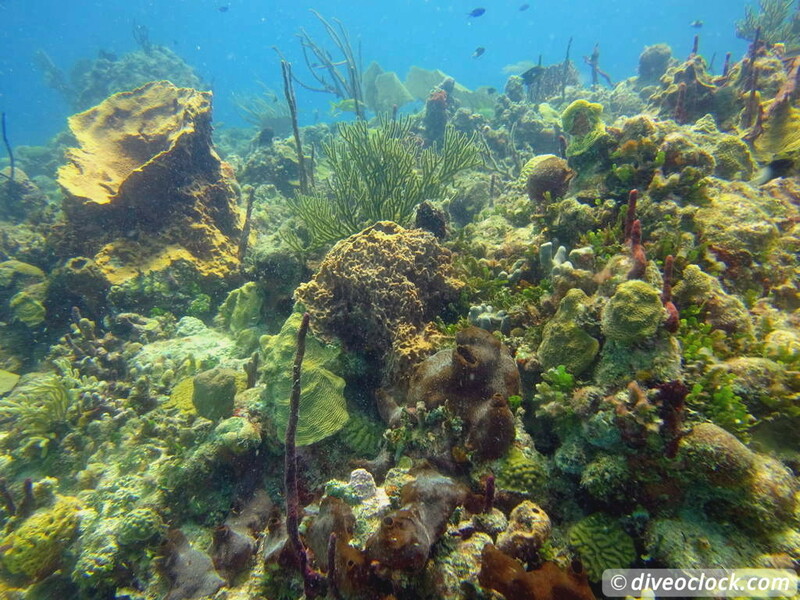 Bayahibe - SCUBA diving around Saona Island (Dominican Republic) - Dive o'clock! The brand new boat of Scuba Fun for our private trip, yeah! 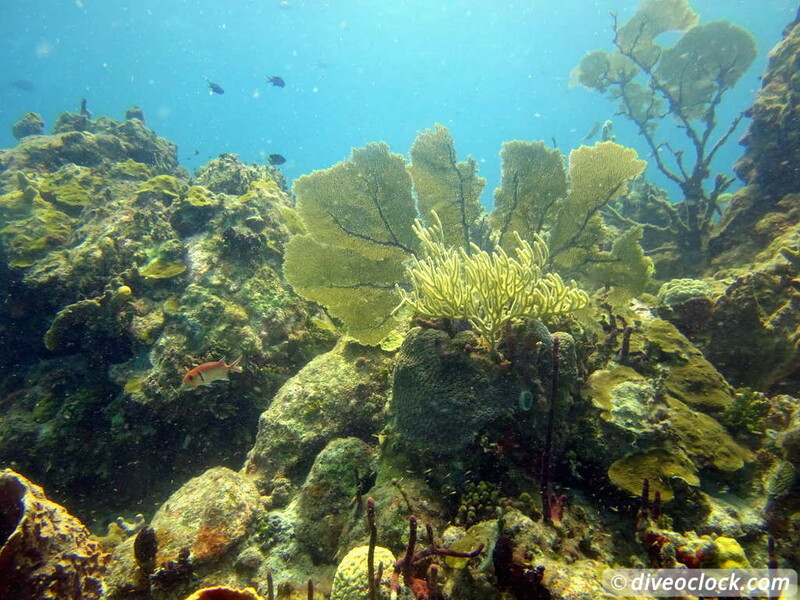 The Bayahibe area is known for the best diving on the Caribbean coast of the Dominican Republic. 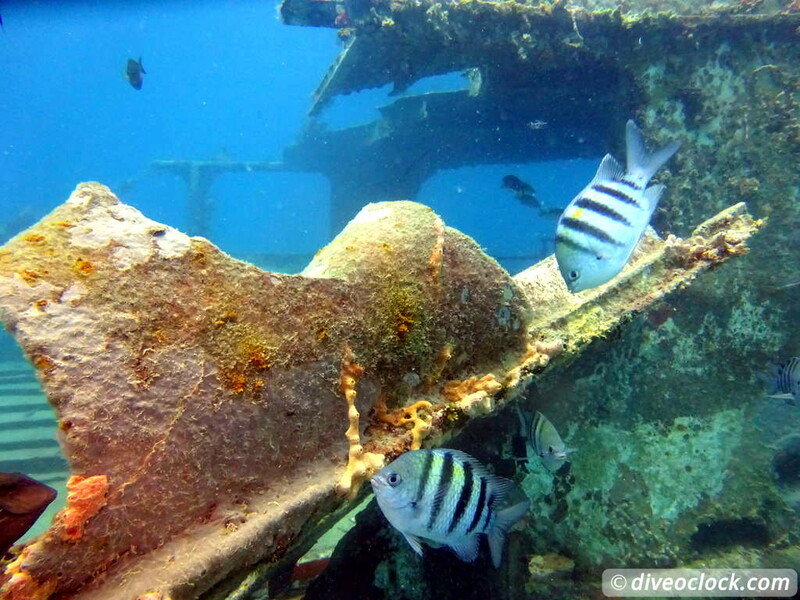 With wrecks, coral reefs and incredibly beautiful tropical islands it is worth a trip. 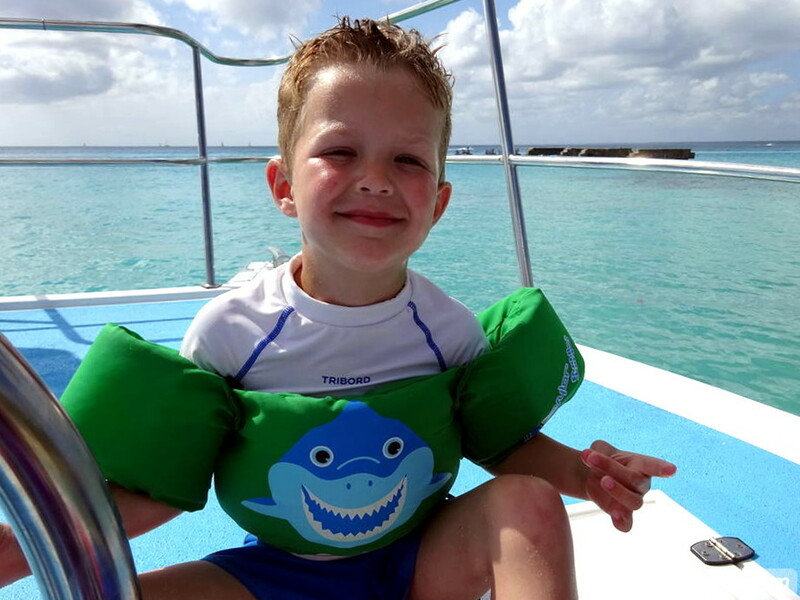 Read all about our private trip to Saona, dolphins included! We were really fortunate to be with a group of twenty-one friends for a wedding in Punta Cana, in the Dominican Republic. 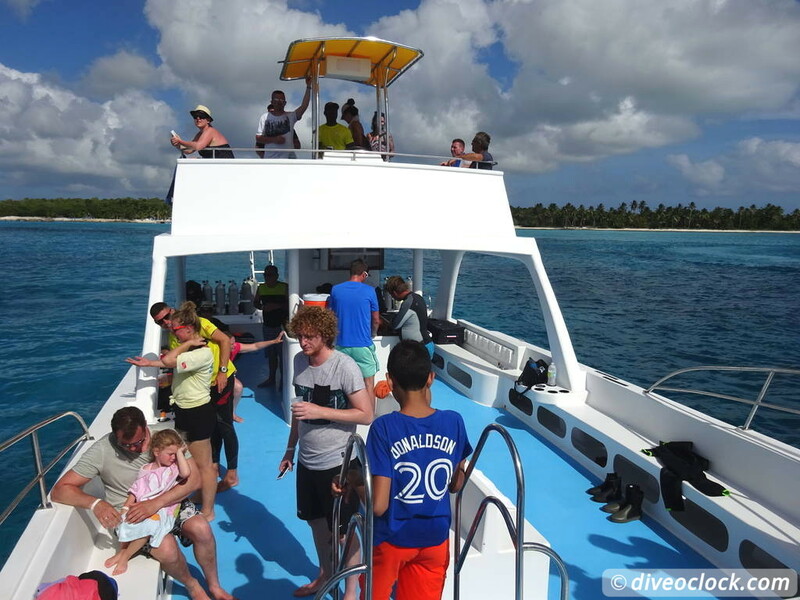 While the youngest little fellow was only one year old and several other children came along we were looking at a snorkeling/SCUBA diving trip that suited a variety of needs. 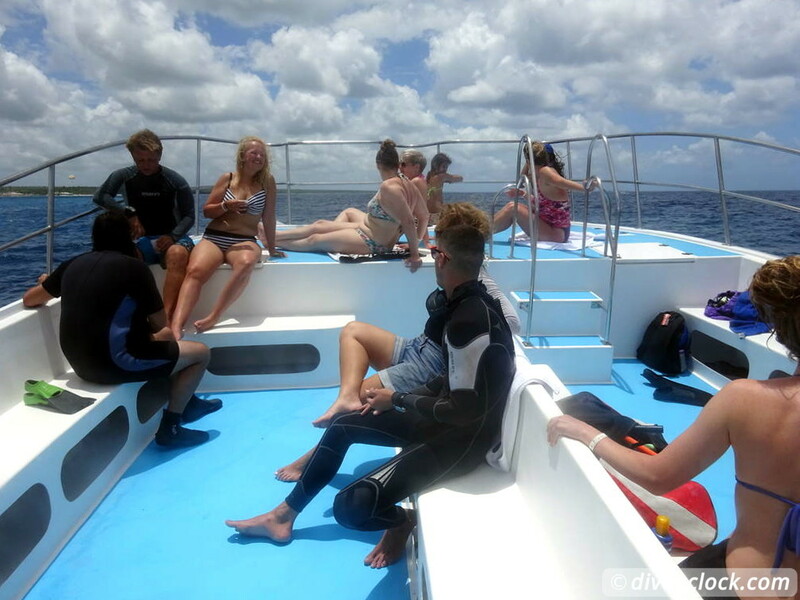 With a good mix of certified divers, some very experienced while others where pretty new to diving and a lot of snorkelers the beautiful bounty island of Saona was on our list. 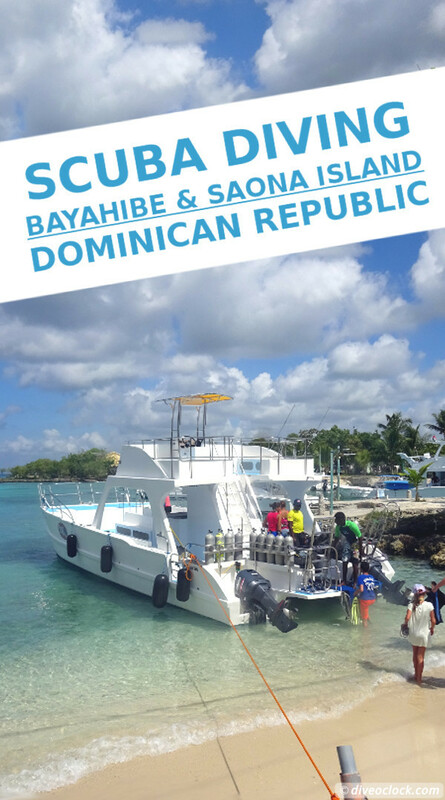 As the Punta Cana area is often mentioned as 'less interesting' for experienced divers and the Bayahibe area is really popular we wanted to explore the Southern dive sites combined with Saona. 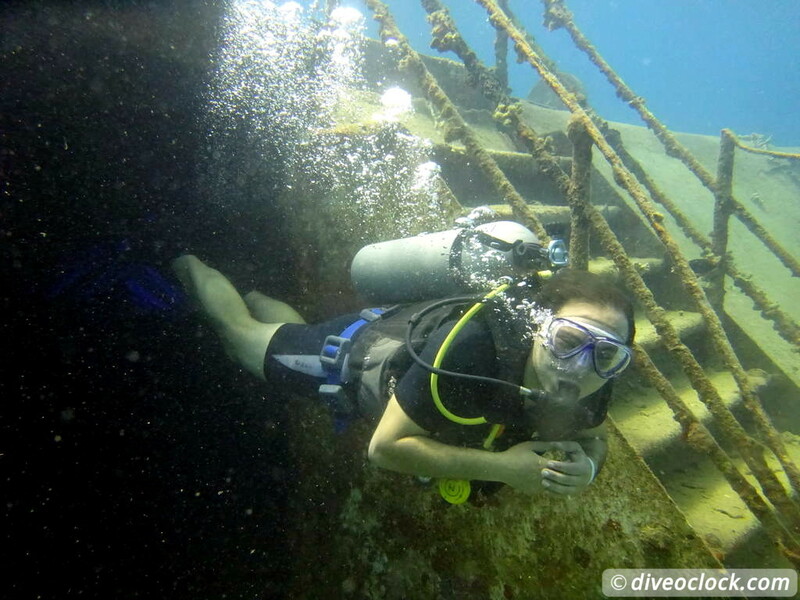 While most dive centres in the area seem to offer more "mass than class" (meaning fully loaded boats, tight schedules and limited dive time) I found a dive center willing to offer us a private trip, perfect! 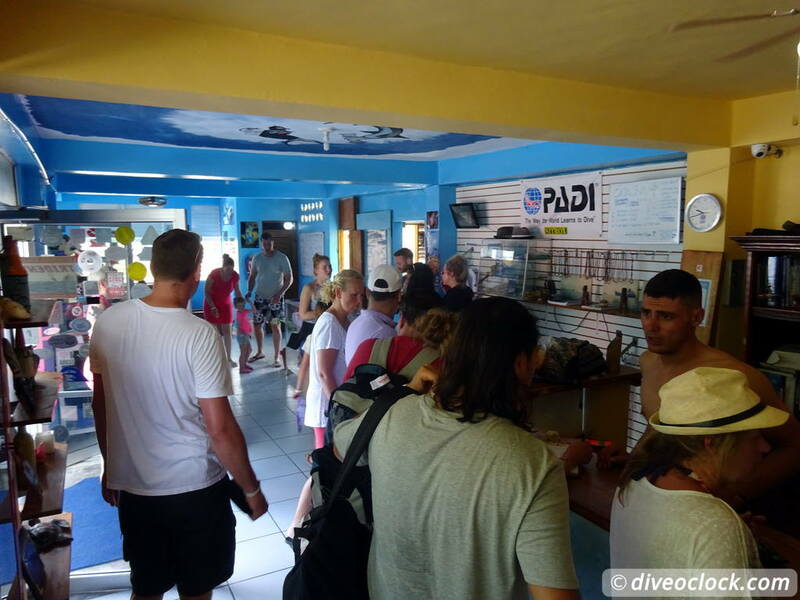 Scuba Fun has a good representation in the area and the flexibility to create a trip with taking care of all the different needs, especially for the children being out all day, was great. On top of that we got their brand new boat for the day which is huge with a lot of space to walk around, sunbath and get ready for snorkeling/diving. While other boats were packed we had all the space, about five staff members including Sanne who speaks Dutch (great for the Dutch kids) and we were ready for a full day of shameless pampering with a jet set feeling! 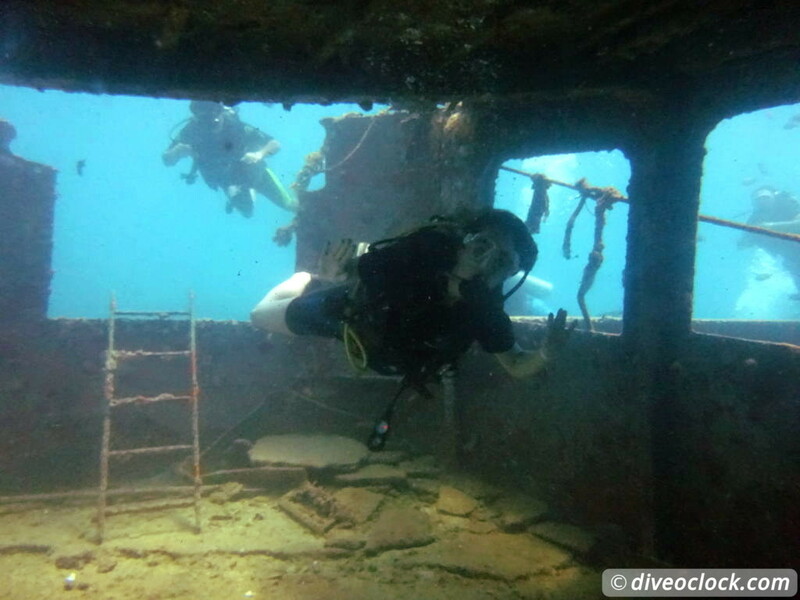 After the boat briefing about the schedule and safety procedures we took of to our first dive and snorkel destination: a boat wreck! 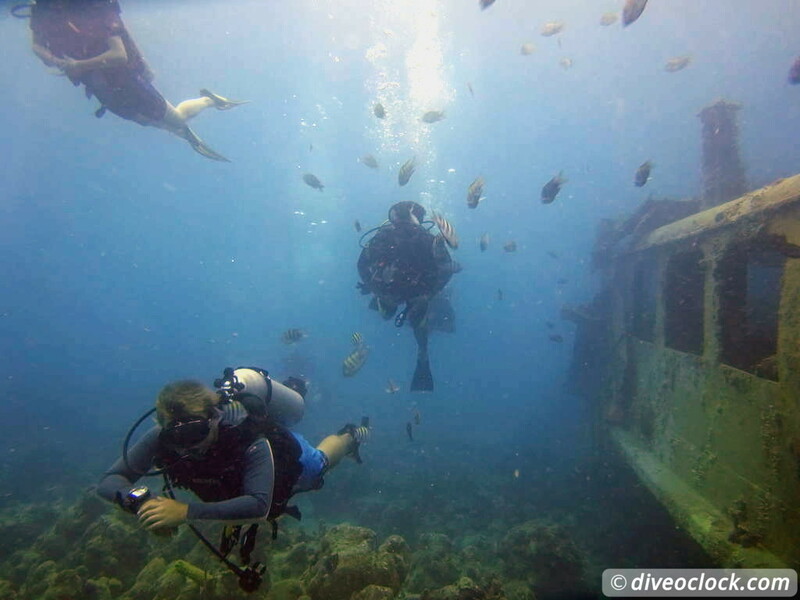 Price Guided 2-tank full day trip to Saona: $159,- pp (including dive equipment, park fees, lunch and drinks). 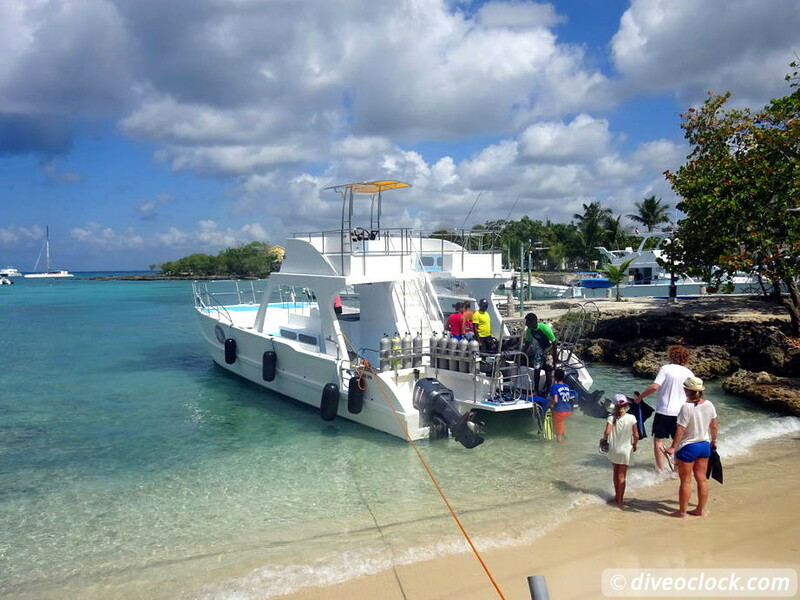 Discounts apply on multiple dives and groups. 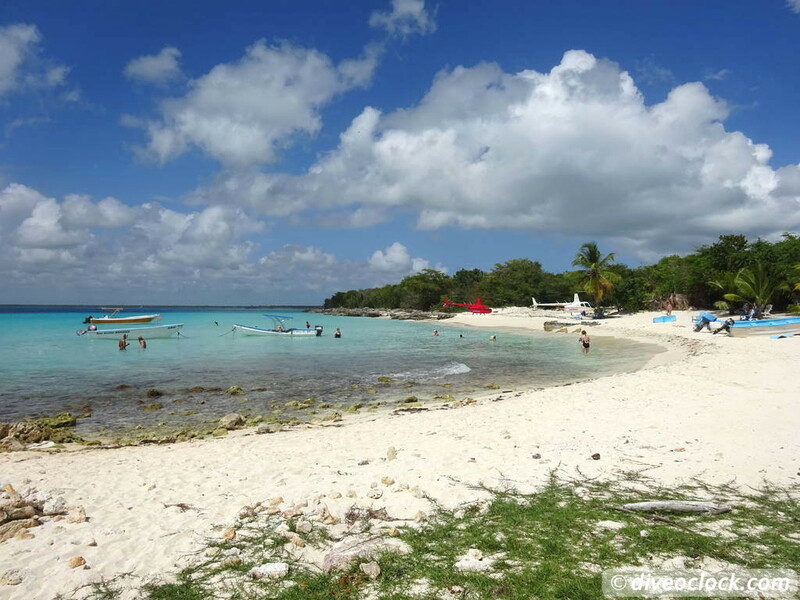 Our first stop was at the Atlantic Princess, just a short boat ride off the town of Bayahibe. 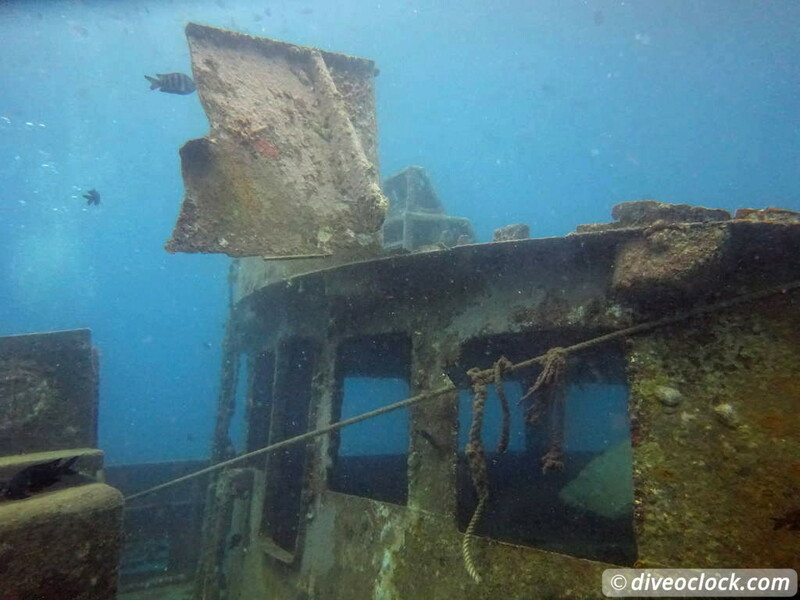 The boat is built in 1973 and intentionally sunk for recreational purposes after sharp edges and dangerous parts have been removed. 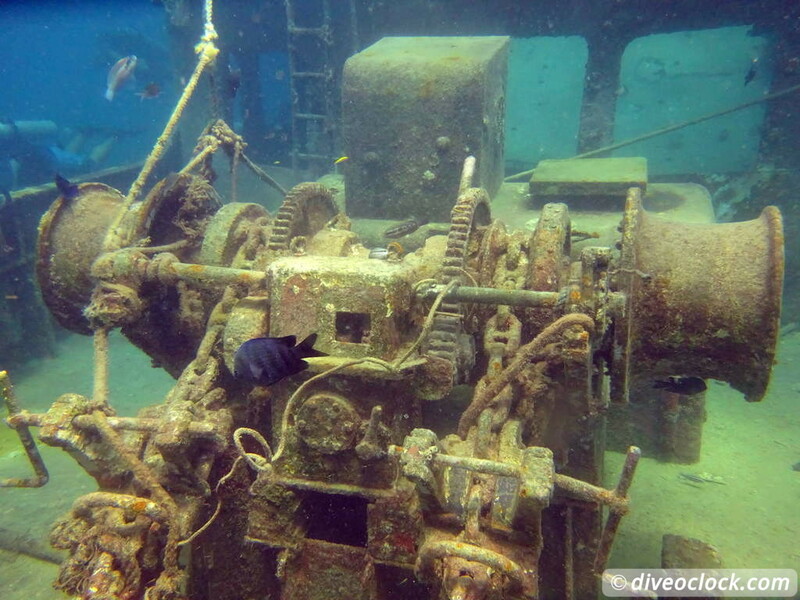 It was sunk at a greater depth originally but due to a major storm it moved to a shallower depth (how spooky). 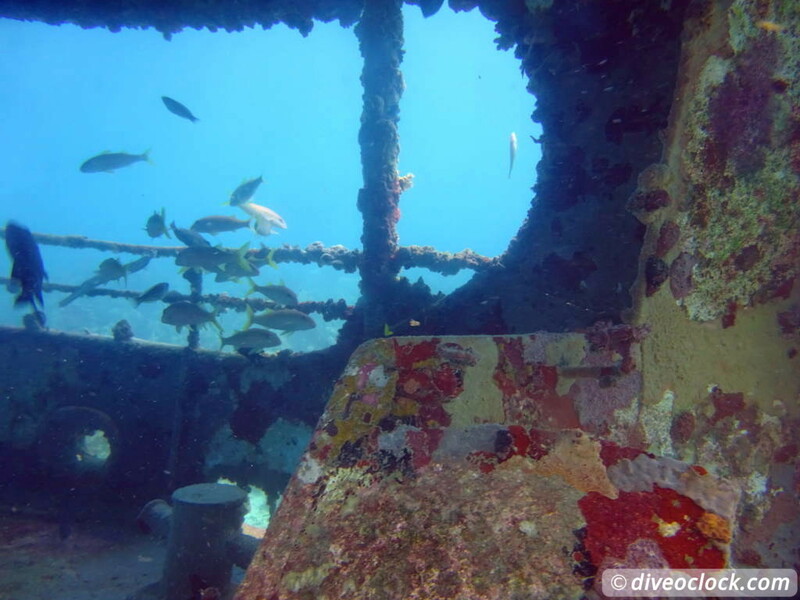 The wreck is now accessible for all levels of divers and snorkelers. 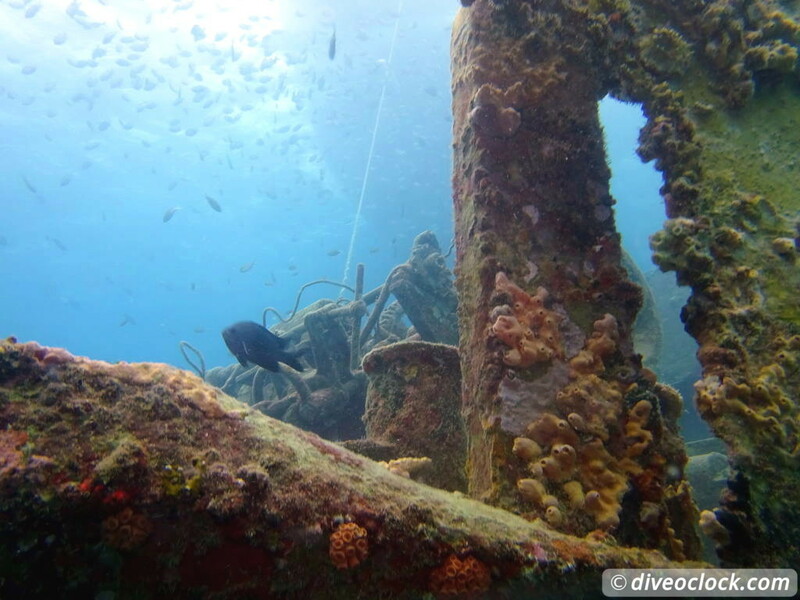 You can easily spot the wreck from the surface, laying at about 12 meters of depth it is a great introduction to wreck diving. With a length over 35 meters and a lot of spacious door and window openings if offers a comfortable swim through and entrance to the engine room. 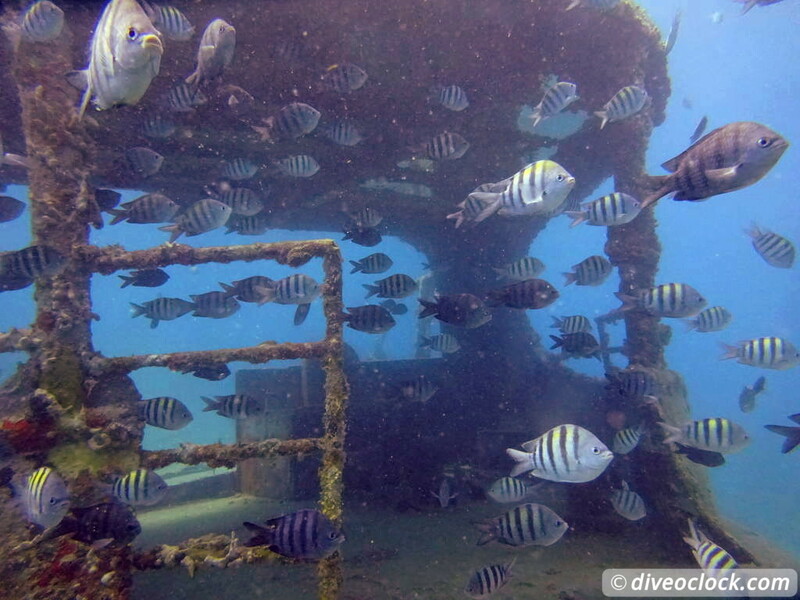 As soon as you jump in the water, countless Sergeant major fish arrive, hoping to get some food. 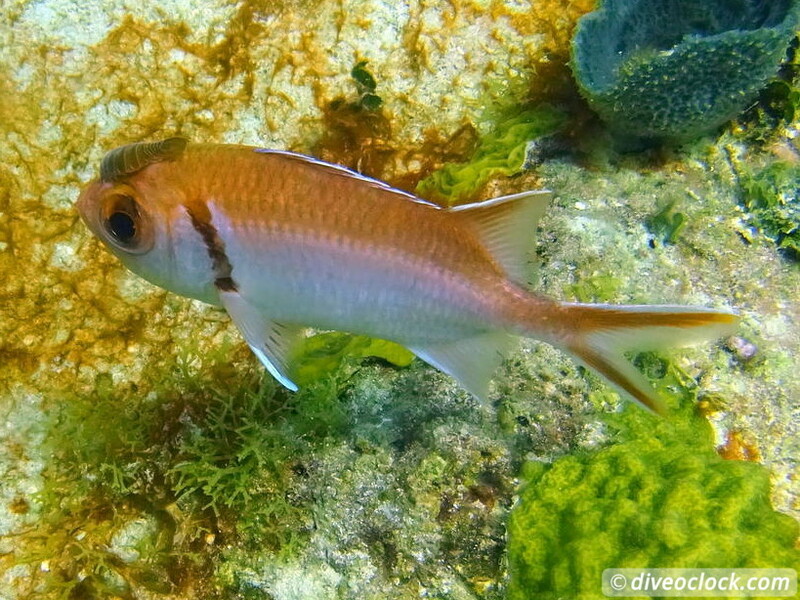 Although it is beautiful to see an explosion of fish and feeding from the surface or underwater is very tempting you should NOT do it. If you love fish please do NOT feed them! Be aware that this is dangerous to fish health and may effect the balance of the ecosystem. 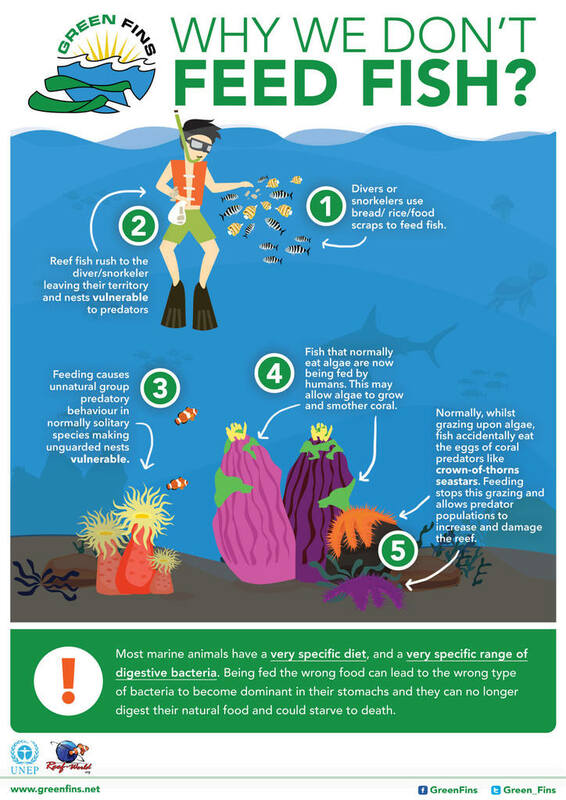 Have a look at this infographic from GreenFins to learn why you should not feed fish in a coral reef area. 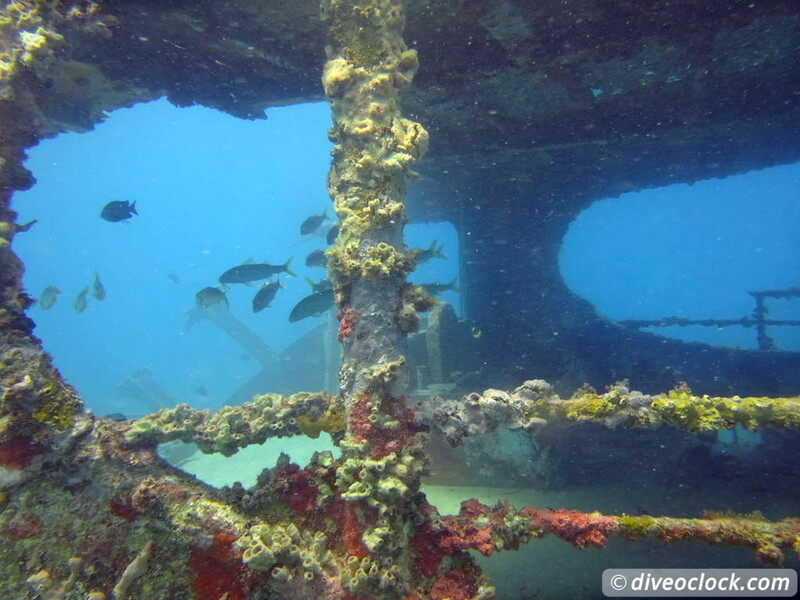 The reef around the wreck is not that interesting unfortunately, giving you all the time you need to have a good look at all parts of the wreck. 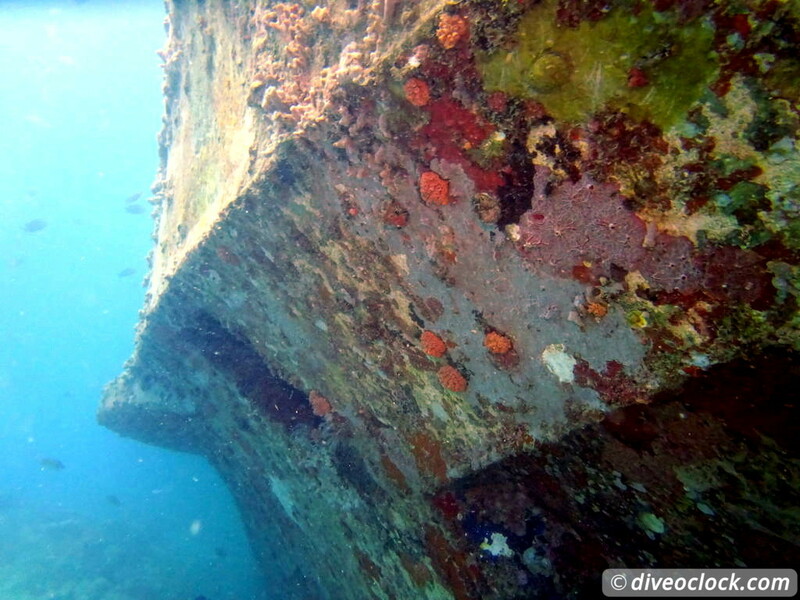 It is amazing how hard it can be to recognize old parts of the boat when it is overgrown with corals and algae. 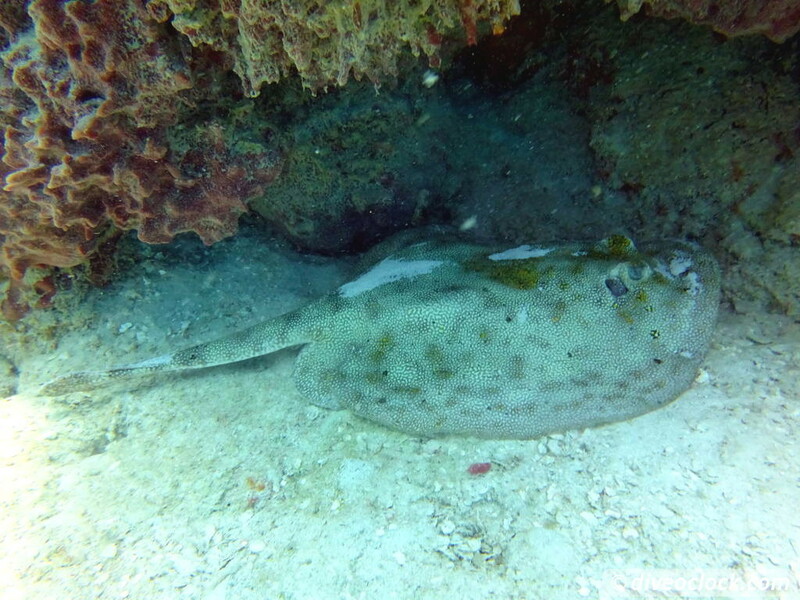 Some Butterfly fish and even some invasive Lionfish were found around the wreck as well as many Sergeant major fish and Goatfish. 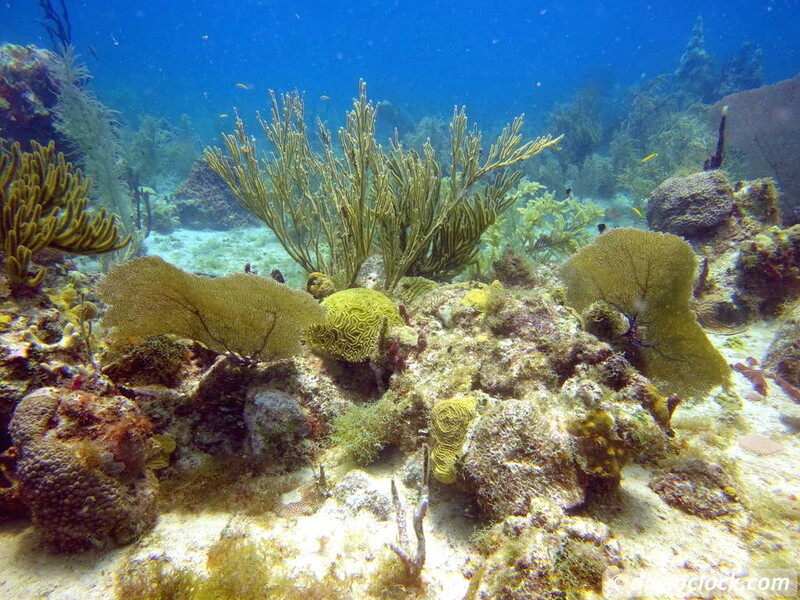 After a surface interval of about one hour it was time for our second dive on a beautiful coral reef. Dive site Penon is regarding the density and diversity of corals comparable to Catalina Island (not to be compared with Catalinita Island which was prohibited to dive when we were there). 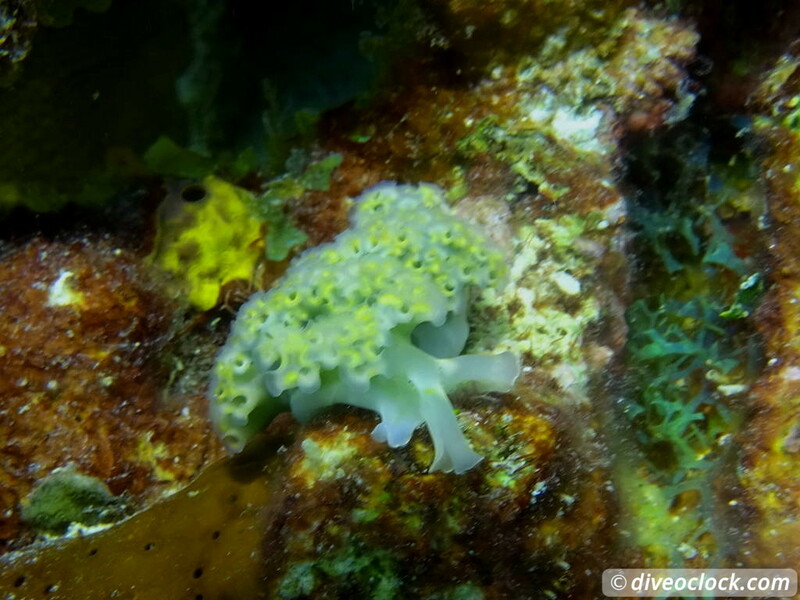 Catalina Island, Penon and another dive site called St George are known to be the best dive spots around. 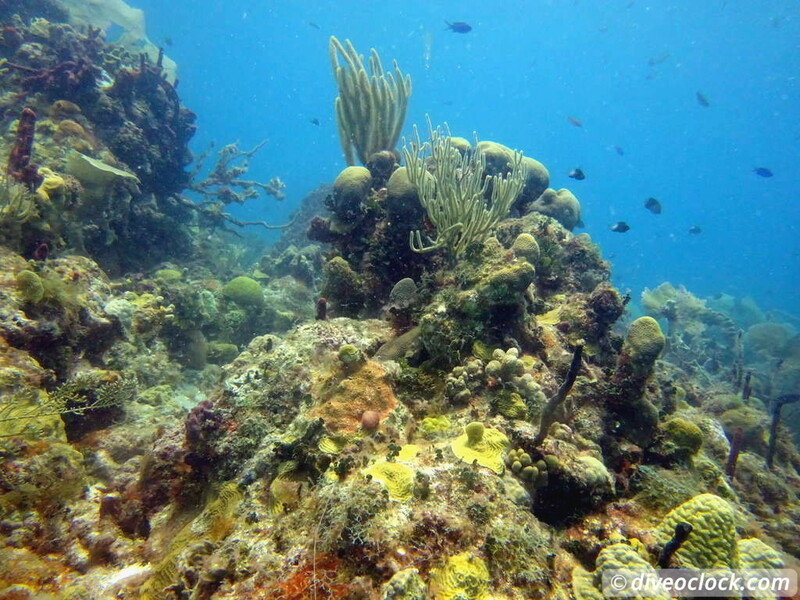 The dive site Penon is part of the protected East National Park/Parque Nacional Del Este and the reef really is healthy and colorful. 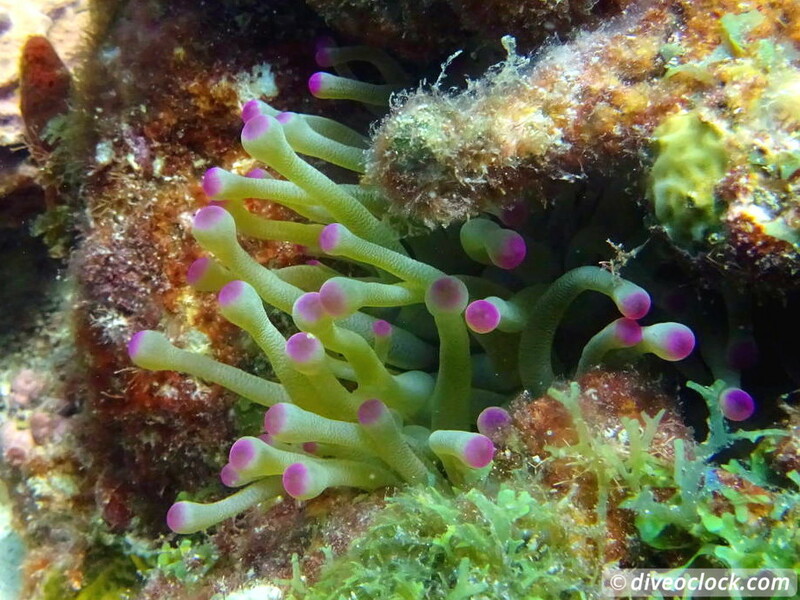 It is a beautiful dive site with many soft corals, gorgonians and sea fans as well as Corky sea fingers and sea rods. 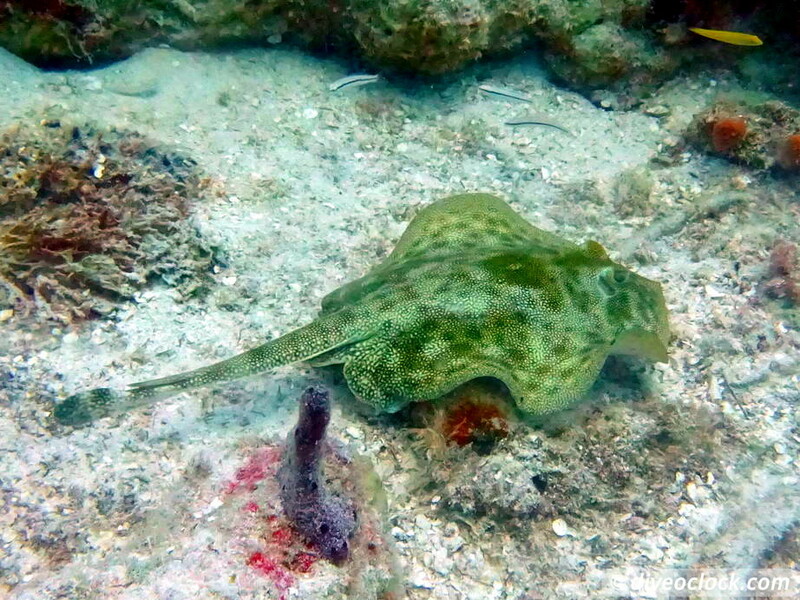 On the sandy parts many Yellow stingrays could be spotted, some hiding underneath a little overhang, some gliding over the sand. 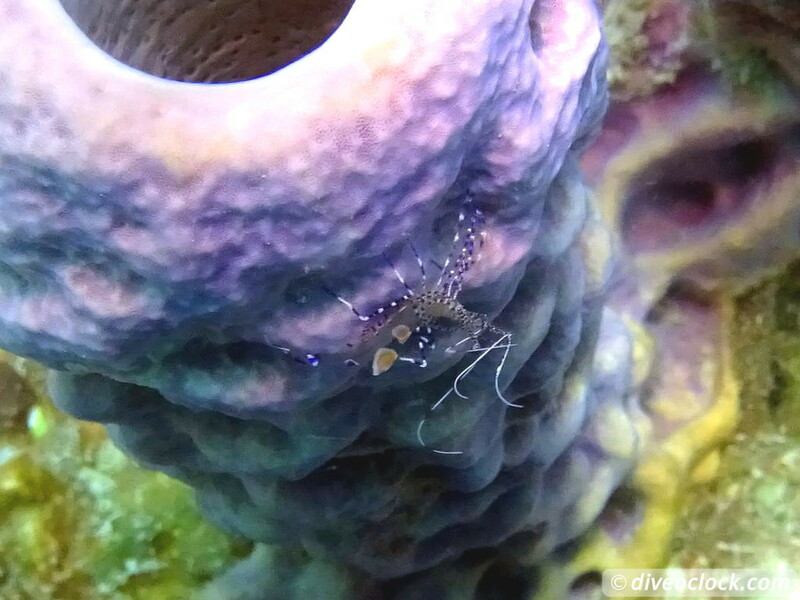 Of the smaller creatures some Yellowline arrow crabs and Pederson Cleaner shrimps were a bit harder to spot but widely 'available' as well as some Flamingo tongues and Lettuce sea slugs. The current picked up during our dive, making the return to the boat harder and harder - especially for the less experienced divers. Luckily the boat crew (and captain Naño) noticed this quickly and picked up everybody with the big boat without long surface swims. 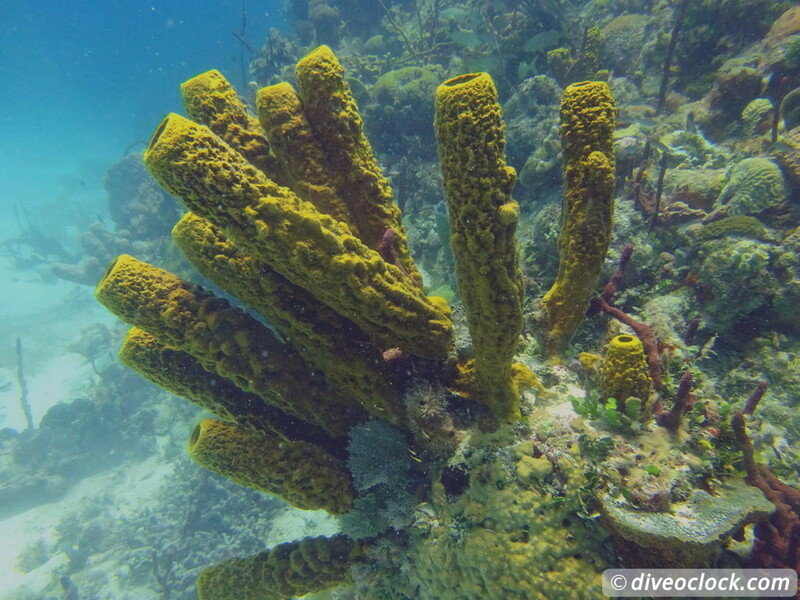 This was also a shallow dive site, great for snorkelers too - until the current picked up of course but that is nature. 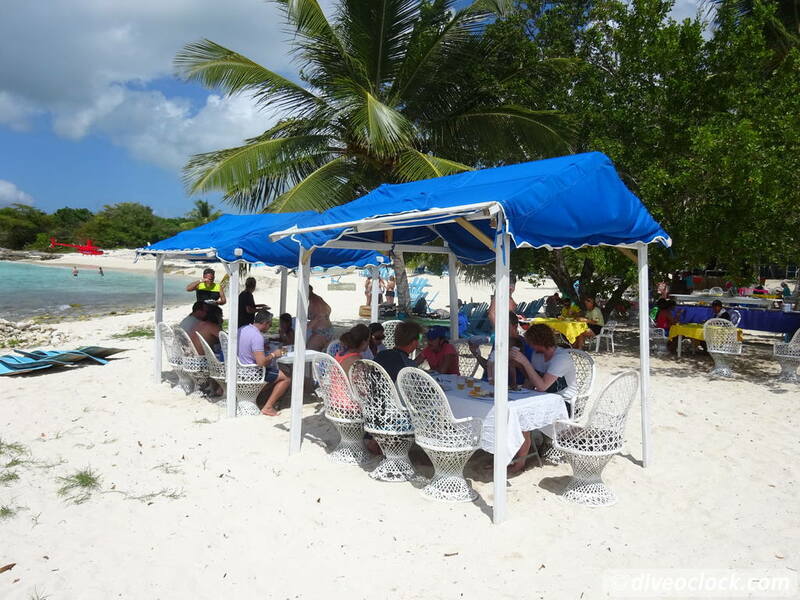 After two lovely dive and snorkel sessions we continued the trip to Saona Island for a lunch at the beach. The closer we got to the island the brighter blue (turquoise) the water became with palm trees and white sand creating a perfect bounty island feeling. While there were a few other companies having their lunch as well (even a few helicopters landed) we got our own private lunch area. On top of that there was a tiki hut for drinks, the 'open bar' was open and the booze cruise part started, yeah! 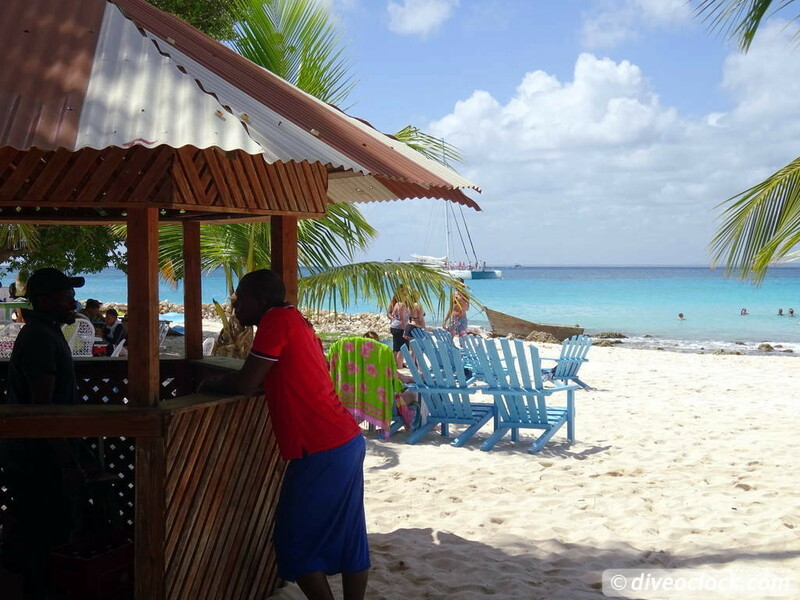 After plenty of time for a swim or another snorkel sessions, relax at the beach or just drink rum like a pirate it was time for the next part of our trip: The Natural pool. 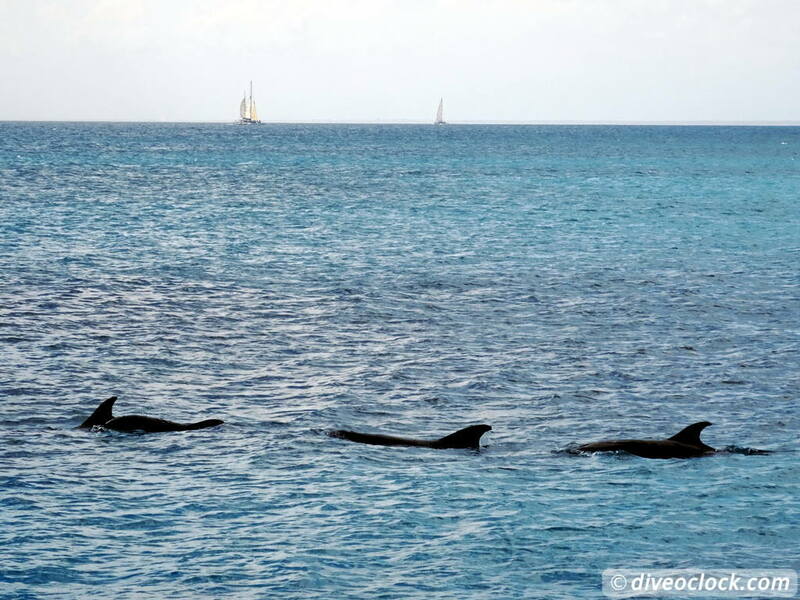 As soon as we took off with the boat we saw a group of DOLPHINS! They were playing and passing-by, what an amazing experience to wait for them to jump out of the water. Although our captain Naño understood the importance of keeping distance in order for them to stay around some of the other captains (of a boat packed with tourists) probably thought his own tip was more important. They chased them away by trying to get as close as possible, such a shame. Piscina Natural or Natural Pool is an area where the water seems to be even brighter blue and clear than around Saona Island. It looks a bit like a lagoon but without the barrier and it used to be full of starfish which are easily spotted in the white sand. 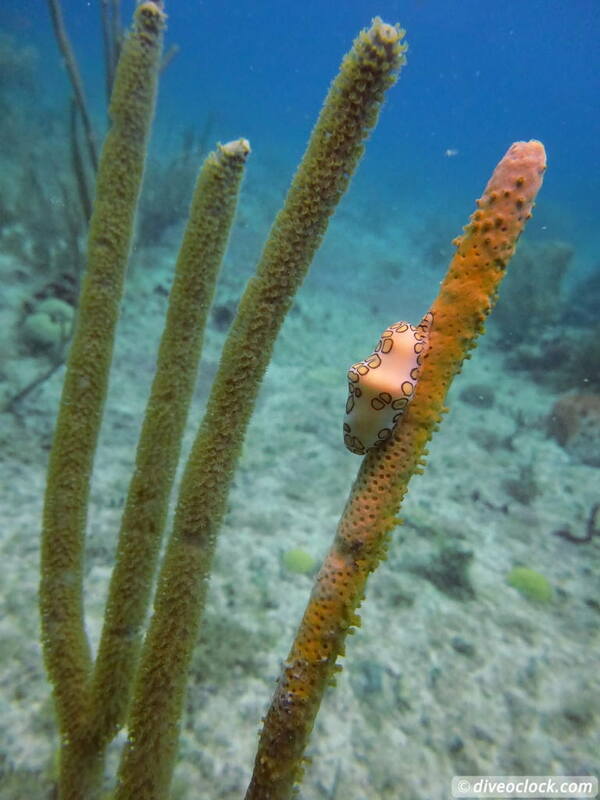 While I hope you know touching marine life can have many negative effects, read about the risks here, it is part of the show and seems uncontrolled by the government even-though it is part of a national park. Apart from the starfish it is a great spot for relaxing in the clear and warm water, have a drink (the crew was amazing and even served everyone in the water) and take some jealously-indulging photos before returning to Bayahibe. 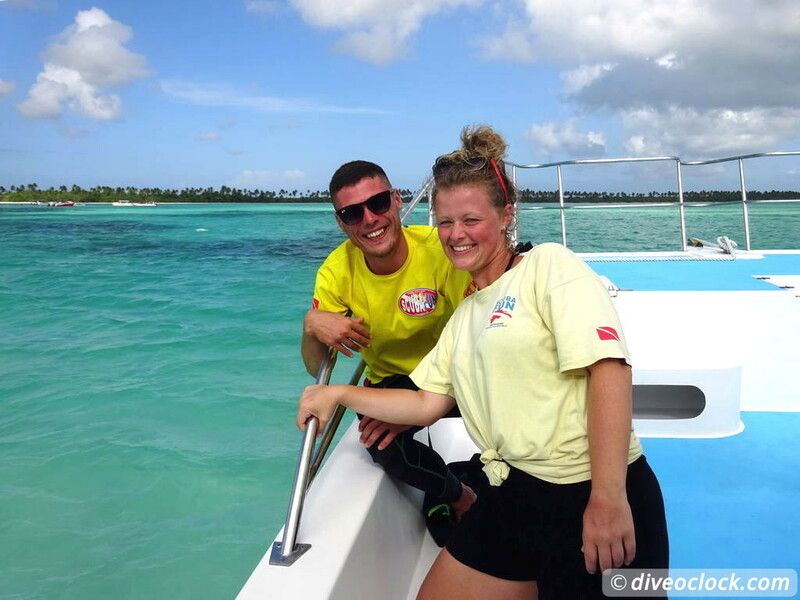 Our happy guides Sanne and Gulash from Scuba Fun! 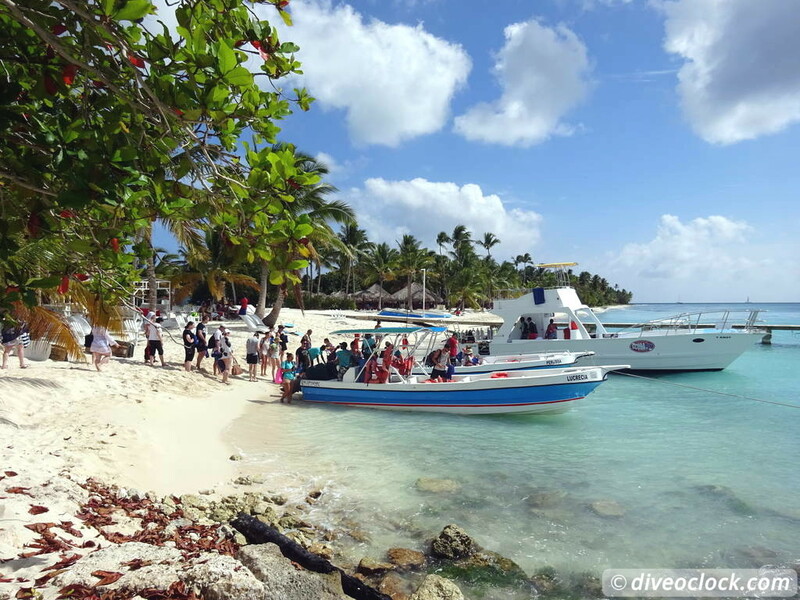 The dive center of Scuba Fun is located in Bayahibe and it is a pretty big dive center with several boats. 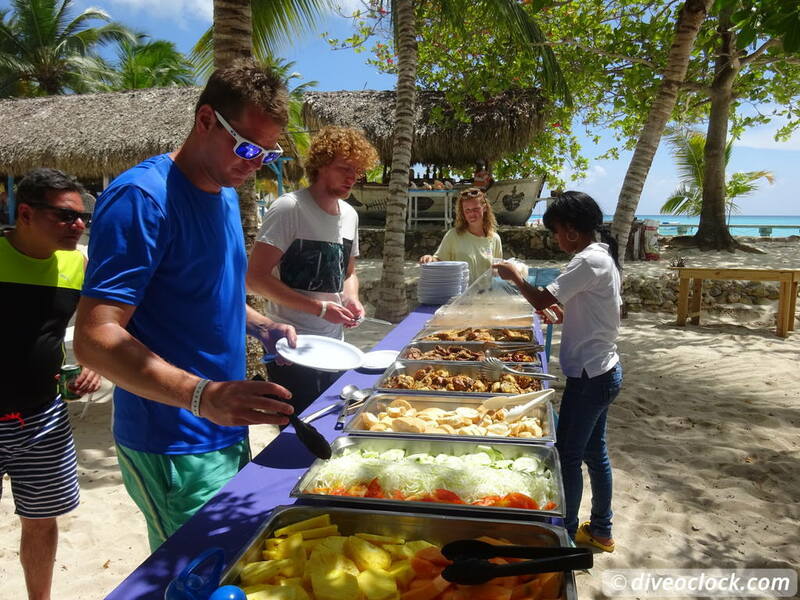 Compared to many other dive destinations in the Lesser Antilles of the Caribbean there are many (young) foreigners working for the dive centers around. Sanne had organized our private trip and as mentioned above we got their brand new boat to enjoy the day. There is a bar on board, showers, a toilet and plenty of benches to sit on, especially with our (relatively) small group. Especially when the bar opened and the music was turned on it felt like a proper cruise trip in the Caribbean, whooohooo. Something to consider is that limited dive time seems to be the standard in this area, meaning 45 minutes dive time is scheduled. Depending on your experience level that could mean shortening your dive time to meet the schedule, luckily we were allowed to dive for a full hour. Gulash was guiding the SCUBA divers and gave short dive site briefings before jumping in the water and showing us around. Thanks to all the staff members who joined the boat and helped us out in any way they could. Lots of laughs and good times thanks to your services and personalities. 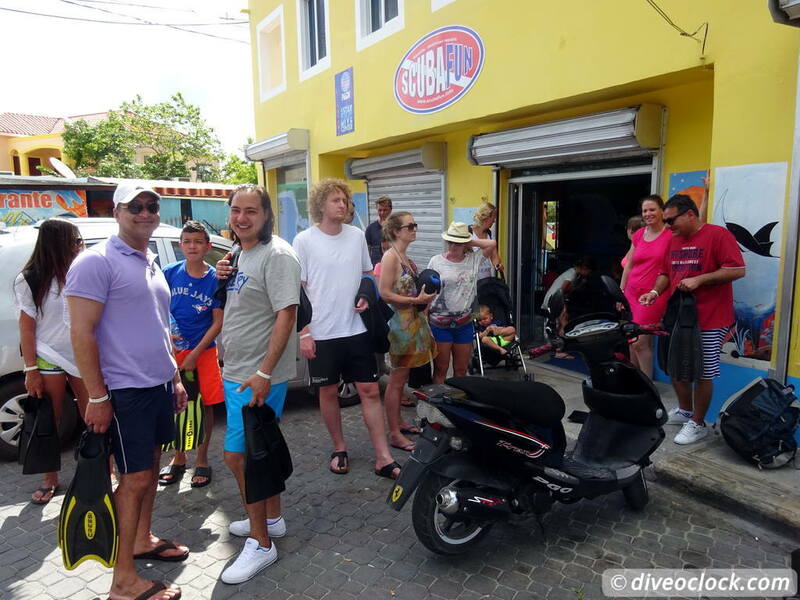 Special thanks to Sanne of Scuba Fun for organizing this trip and making sure everybody was fine during the day.